High electric bill? A cold winter may be to blame. Or a bad meter reading. Or a recent rate increase. You can check your meter or contact City Light. Some Seattle City Light customers have been zapped with higher-than-normal electric bills, and many customers have been calling in with concerns, the utility says. Rate increases and chilly weather have contributed to the recent sticker shock, while estimated and erroneous meter readings can always result in bloated bills. 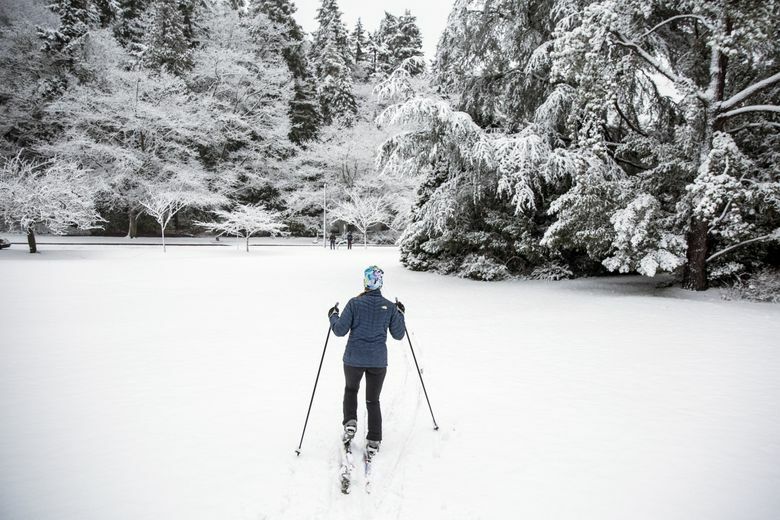 This winter was Seattle’s coldest in more than 30 years, with 56 unusually cold days between December and February, according to the National Weather Service. Some customers may have used as much as 40 percent more energy to heat their homes this winter, compared with last winter, Thomsen said. Cold weather has the greatest impact on energy use by customers with poorly insulated homes, he said. “There are a number of folks we’ve heard from (with large bills) where it’s just the cost of the electricity they’re using because it’s been much colder,” Thomsen said. All City Light customers are paying at least slightly more for electricity this year because the utility’s rates increased 5 percent in January. The bump is part of the agency’s five-year strategic planthat was approved last year by the City Council. In addition, City Light is currently using a 1.5 percent surcharge to replenish its $100 million rate-stabilization reserve account. The surcharge took effect last August. At any time, estimated readings can lead to larger-than-normal bills. When a meter reader can’t access a meter — because of a locked gate, a dog in the yard or some other reason — City Light uses past consumption to come up with an amount to bill. When a customer is billed based on an estimate, that’s indicated on the bill. In most cases, the estimate is slightly higher or lower than the customer’s true consumption, and City Light makes up the difference in the next billing cycle, after the meter is read. Erroneous readings can also generate a bigger-than-normal bill. City Light’s billing system is supposed to flag extraordinarily high bills to catch bad readings, and such mistakes are caught and corrected when the meters in question are next read correctly. But if your bill based on an estimate or actual reading seems wildly high — double or triple what you’d expect to see — you can contact City Light to address the issue. You can also contact the agency if multiple underestimates result in a very large catch-up bill that you can’t pay all at once. City Light may give you a payment plan. The phone number for City Light’s customer center is 206-684-3000. If you call, prepare to wait on hold for a while. You can also email the agency at scl_respond@seattle.gov. City Light recommends emailing. And of course, if you’re wondering why your bill is so big, you can check its accuracy by reading your meter yourself. City Light uses two kinds of meters — electric and mechanical. You can learn how to read your meter online at www.seattle.gov/light/paymybill/readmeter.asp or by calling the customer center. Then, compare your four- or five-digit reading to the “current reading” listed on your most recent bill.